Tyson Bowerbank joins the squad at Almost skateboards with this assemblage of footage. JT Aultz, Jack Olson and Tyson Bowerbank hit the road to Minneapolis, Omaha and Kansas City for the new Thunder Trucks Fall release. Available now in select shops only. Bones Bearings has posted this recap of team riders from Phoenix Am 2015 featuring Berronte Ramirez, Chris Colbourn, Blake Johnson, Tyson Bowerbank, Dashawn Jordan, Jamie Foy and Jack Olson. 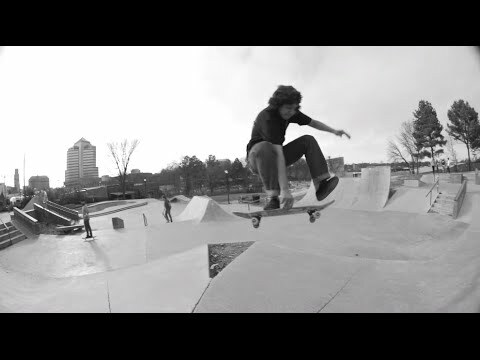 Filmed and edited by Vern Laird. The Zumiez Best Foot Forward crew grabbed three top ams and took the long road to Tampa Am 2014. Nate Greenwood, Franky Villani and Tyson Bowerbank met up in NYC and traveled down the East Coast making stops in NYC, Philly, Durham, Savannah and Jacksonville. The crew met up with Zumiez Best Foot Forward 2014 3rd place finisher Jamie Foy in Florida. Filmed by John Note and joined by Steve Miller and Shawn Turner the crew ripped spots all the way down the coast. Spitfire just dropped a new video with a burning crop of ams Jack Olson, Tyson Bowerbank, Tristan Funkhouser, and Jonathon Reese ripping up the streets of the Bay Area for the new Keeping the Underground Lit Fall ’14 Catalog. Check out the video, photos and the newest products from Spitfire in select skate shops now.